This Scenery is made to be part of the Multigame Battlefield System. All components can be easily printed in A4 format, glued on a 2mm support (cartonboard, wood, etc ..), cutted and assembled in a short time. You can assemble more pieces to create multi-level buildings, or use the set’s ruins and trim components to create new ones! 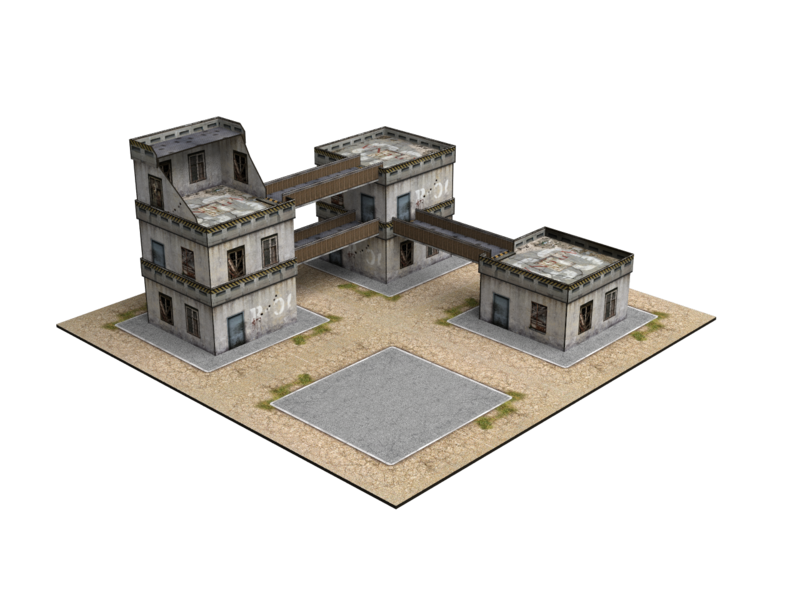 Customize the B-01 as you like: you can play it as a closed building and hide your troops inside, or you can cut doors, windows and hatches to have a roof access! Here you find all sheets FREE TO DOWNLOAD. Try the Multigame Battlefield using our Card System and let us know your thoughts about!